Guilds are a huge part of many users’ experience on Neopets. They can provide a tight-knit community of users who share a similar interest where lots of long-lasting friendships are born. It can be hard to find the perfect guild for you, so an alternative to joining a guild is creating your own. 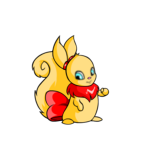 I have created several guilds in my time on Neopets, and I have been the leader or council member of my current guild for four and a half years. This article is a compilation of tips I have found useful for starting up and leading a highly successful guild over the years. This is the most obvious starting point: what kind of guild do you want? You can make a guild focused on pretty much anything provided it’s not going against any of the Neopets terms and conditions. Are you a gamer? Perhaps then you should create a guild for gamers to come together and discuss tips and tricks to their favorite games, or just brag about their latest trophy accomplishments. Are you an artist? Then maybe making an art themed guild would help you meet fellow artists on Neopets. Do you love to collect avatars? You could make a guild centered around that as well! My experience has mostly been with avatar guilds, and many of my examples will reflect that. You can, however, adapt this guide to work for any kind of guild. When starting up a guild, people tend to do so either alone, with one friend, or with a group of friends (or people they just meet on the boards). Now, there are both benefits and downfalls to each of these. Working as a group will allow you to delegate the responsibilities of the guild, therefore taking some of the work load off of yourself. It also gives you and your friends a fun thing to do together, and it’s easier for some people to go into things with friends to back them up. If you start with a group you’re starting with three or more members instead of just one or two. However, working with other people can prove to be quite difficult. The guilds ranks are set up in a hierarchy and to many the higher their position means more power. Arguments could erupt between co-owners about which council spot they get, or about any of the many decisions you’d need to make before even starting a guild, never mind once the guild opens. You won’t always agree with everyone, so you have less freedom in choosing what you want for your guild. If one person is away for a time, you would have to wait until they returned to consult them if you have to consult all owners before any guild action is put into place. Also, from what I have seen, more drama happens in guilds with a group of co-owners. If one of the owners gets upset and leaves, chances are another one will as well, and then the guild ends up being split up because of it. Working in a pair or alone is a better route. Being in a pair gives you one other person to consult with, as opposed to three or more. It also gives you someone else you can delegate to, but not so many that it becomes more of a hassle than a help. Working alone can be a bit more overwhelming until you have gotten council members assigned, but you do get control over all aspects of the guild, and in my opinion the guild is less likely to fall apart this way. Now that you have a theme, and possibly some co-owners, it’s time to decide some things. What things are important for you to have in your guild? Do you want a lot of fun activities for members to participate in? (Just remember, no prizes; it’s against the rules!) Or would you prefer to be solely chat-based? Will you have a fancy layout? Will you have special services such as lending avatar items or pets? Perhaps your guild can offer premade graphics or fonts for its members. If you do have activities, it’s best to have a variety unless you have a very specific guild theme. If not everyone in your guild is an artist, don’t make all of your guild activities based on making some kind of drawing. If not everyone is a gamer, having your only activity being a game tournament may not be a smart move. Your guild will surely grow and change once you start getting members, but it’s important to have some things ready for your members to do when they join. Another important question to answer is whether you’d like a private guild or a public guild. Public guilds are nice because you can meet a greater number of different people. However, with a private guild you can screen who joins by setting up requirements, which will help keep out members who might try to beg or scam from the guild. If you do want to have a private guild, you will need to discuss what requirements you want to set for people to join. Pretty self-explanatory, but a very important step indeed! Now that you have worked out what your guild is all about and what kinds of fun stuff it will include, it’s time to pick your guild’s name. Make sure you pick a name that you’ll still like years down the line should your guild be successful enough to last that long. A guild’s name typically has to do with the theme of the guild, or is just generally cute or witty. However, while important, having a cool name isn’t what’s going to make a guild successful in the long run; that will depend on the management. If you are going solo on your guild-creating adventure, this section won’t apply to you just yet. Once people begin joining, though, and your guild grows, you will probably want to choose some council members to help you out. When choosing council members, it’s best not to just choose your friends or the people you like the best. You’re going to want to choose people you know you can count on to be responsible for what they say they will do. If you are making your guild with a group of other people, once you decide what things you want your guild to include, it’s up to you all to decide who will do what. If someone is great at graphics, then they should be in charge of making a layout for the guild’s homepage as well as for any petpages you might need. If someone loves organizing, they should be in charge of organizing events. Someone also needs to come up with the names of guild ranks, and how they ought to be achieved. Any activities or services you want to have set up should also be set up prior to your guild’s opening and put on a petpage. You may feel like you need to take on all the responsibilities yourself in order to get things done right. While this will be fine at first, you will end up stressing yourself out a lot. If you have people assigned to council or people who are supposed to be co-leaders, then don’t be afraid to ask them for help and give them assignments you feel they are capable of. If other members are willing to help you out, then let them. It will give them a sense of accomplishment to be able to help out, and it will give you less to do. When you make an advertising board, make sure your title is eye-catching. It is the first thing of your guild the public will see, so you want to draw them in. Saying your guild’s name, and possibly some of its good features in the title along with some smileys, is a good way to go. Inside, you should introduce yourself – this way people can see that the leader (or whoever is advertising) is friendly and relatable. You should also introduce your guild. Say that it’s brand new and is now welcoming new members. List all of the fun activities your guild has to offer, as well as any other services such as avatar lending. You should also make note of what petpage your guild’s website is on, and what requirements the guild has if any. From there, you and any co-owners ought to just chat on the board and be helpful and friendly to anyone who comes seeking an invite or having questions. Often people make boards about being guildless when they are seeking a guild. If you see someone looking for a guild, first check to see if they meet your guild’s requirements if you have any; you wouldn’t want to tell them all about your guild just to find out you can’t really invite them because they don’t meet them. Also make sure that the guild you own is one they’re interested in joining. If they do meet the requirements and are looking for your type of guild, either post on their board or neomail them (don’t neomail them if they ask you not to) and introduce yourself. Tell them you saw that they were looking for a guild and that you think they’d be a good fit for yours. Then give them the info you would typically give in an advertisement board, tell them you’re willing to answer any questions they may have and are ready to send an invite at their request. Also, wish them luck in finding a guild. It’s important to stop by your guild’s message board while new members are joining. Welcome all new members to your guild, and try to make sure that newer members are being included in discussions. If a guild member feels like they are welcomed and liked, then they will feel they belong in the guild and will therefore stay in the guild. If a member joins and feels ignored, they are of course far more likely to just leave the guild to find one they fit in better with. Not everyone in the guild will always get along, that’s a given. You yourself may even not like people in your guild. However, it is important to remain impartial with your members. If you show favoritism for a few members, people will pick up on that and leave. All of the same rules should apply to everyone; your friends shouldn’t get special treatment. If not everyone is equal, the guild is sure to split up. Still, arguments and drama are bound to happen. The way you handle these things is important because a leader that can stay level headed and impartial during drama is one that will lead a successful guild. If someone is misbehaving, neomail them and ask them to stop and explain why what they are doing is against your guilds (or Neopets) rules. If you call them out on your guilds boards, they will feel embarrassed and attacked and will probably get defensive and make things worse. Do not give the person the satisfaction of upsetting the guild’s balance by starting a full-out argument with them. If they won’t follow the rules even after being given a warning, then suspend or delete them from the guild (and report them if necessary). Now you’ve gotten past the set up period, and the member count is growing. People are chatting it up on the guild boards and are having fun with all of your guild activities. However, owning a guild isn’t always smooth sailing. Some points of the year are more active than others; don’t fret if things start to slow down. People just get busy is all so you don’t need to suddenly close the guild down because people aren’t posting a message a minute! Make sure there is variety in your activities; always keep changing things up and adding new and exciting events and activities to keep your guild interesting. Try to think up topics for the day that guild members can discuss, so there is something to keep conversation flowing on the guild boards. Also, be sure to ask your guild members what they’d like to see in the guild - if they get to help pick what they do, the odds are higher that they will actually participate! Make use of the guild mailer feature - it’s the best way to send out new info to members and to get their feedback. Most importantly, have fun! Owning a guild can be a little bit stressful sometimes. Dealing with people in an impartial way can be tough. However, owning a guild can also be very rewarding with the friendships you make and stuff you learn from your guildmates. If you stop enjoying what you’re doing, it’s time to stop doing it! If you feel burnt out, take a break, maybe even give up guild leadership to a council member you trust. You can return as leader later if you want, or you could just enjoy being a member. At any rate, happy guilding! "Rubia has been harboring a Xweetok ever since shortly after last meeting. She claims that it came to her door first."